CreativeSprint prompts me to open a drawer and make something with the contents. 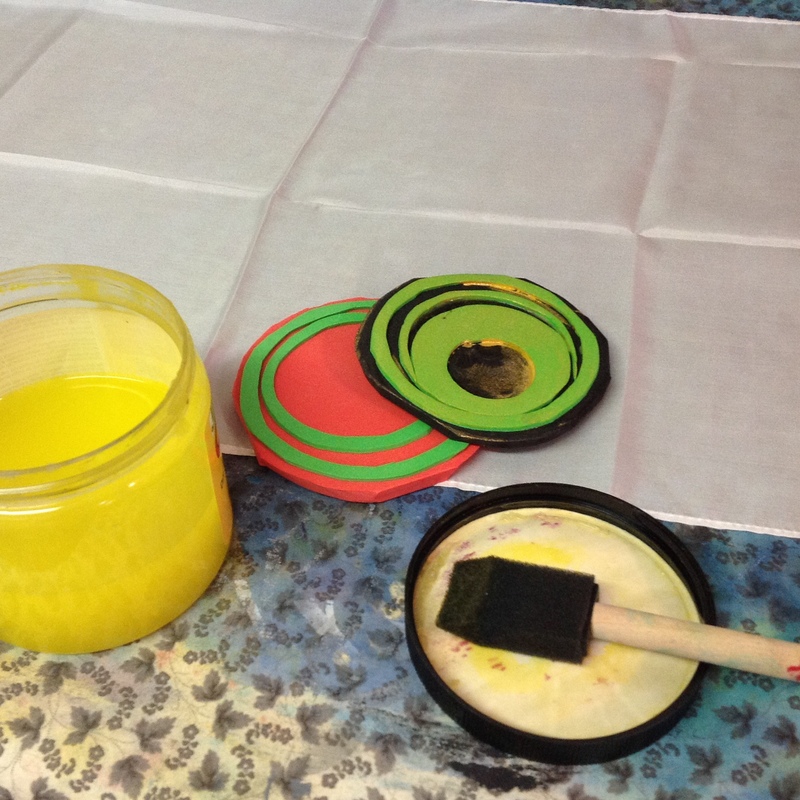 Bold circles, a little black mat, and a few minutes of pleasure start my creative day. I completed the play with circle shapes on a silk scarf. 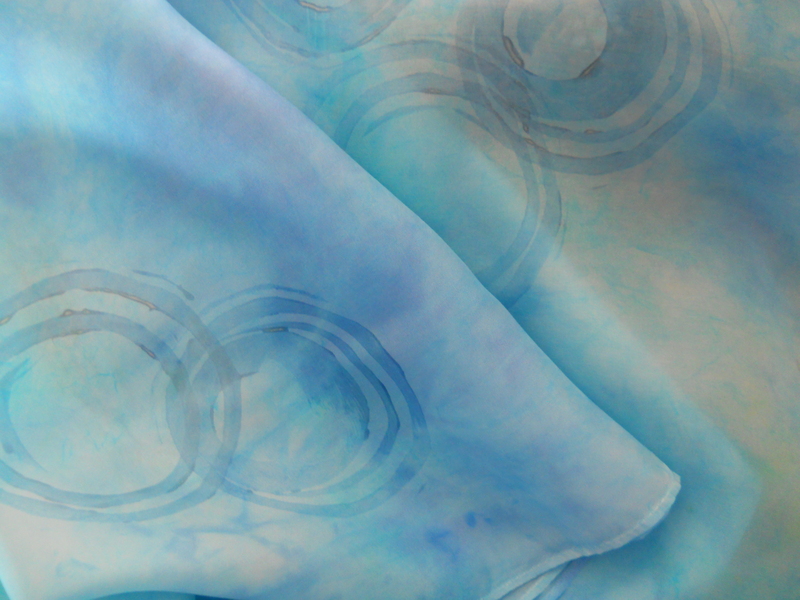 After the Color Magnet prints were dry, I dyed the white scarf with blues and purples. The photograph above shows the finished product. This is the starting point from several weeks ago. When I travel in spirals I get to revisit starting points from a new perspective.